As fans, it’s easy for us to daydream about what it would be like if some of our favorite artists collaborated. Many times, these wishes seem far-fetched, but we keep on hoping anyway. It&apos;s only rarely that two artists come together and produce music that lives up to the daydream. But that&apos;s the case for Ta-ku and Wafia. They have a natural chemistry that was on full display on last year&apos;s “American Girl”—their take on Estelle’s “American Boy”— and from then on, it felt obvious that the two should be creating more music together. Thankfully, they did. Their collaborative (m)edian EP came next—it was a release defined by their sultry harmonies and bare-faced ruminations on love. They&apos;re on a roll, and it&apos;s abundantly clear by now that these two are comfortable making music together. Before hitting the stage for a sold-out show at the Brooklyn Masonic Temple, the duo shared a key to their success: having each other’s best intentions at heart. So tell me how you guys originally met. When did you guys decide you wanted to not just do a collaboration, but a full EP together? Wafia: I think the important thing to know is that we are artists in our own right, and this EP is just the amalgamation of that for a brief period in time, and then we’ll do our own thing. We decided early this year, I believe, and we just sort of jumped right into it. It just felt right—the things we wanted to discuss, the things that were both important to us and the family and compromise. It just felt right and a very organic process. It wasn’t like, "Ok you guys should create together," or something. It was something we both did out of necessity. What’s the difference in the creative process when you’re working alone, compared to when you’re working together? Ta-ku: I guess for me, whenever I work alone I definitely work with just me and a laptop. I’ve always just been a bedroom producer. I don’t really work in studios too often. So when we both came together and started working, it’s the first time that we’re going into that studio environment, which is always new for me, and learning how to actually write a song not just the production of it. And singing on your own song too, which is a whole new experience for me. So it was definitely taking me out of my comfort zone and putting me into a whole new environment, which was exciting. I know you recently started singing on your tracks. What made you want to do that? Ta-ku: It was actually when I did Boiler Room with Red Bull Australia. We did Songs To Make Up To the day it was released. Wafia came and I had Jordan Rakei there as well, and JMSN. There’s one song on Songs To Make Up To that I kind of sing a little bit on, and everyone—Wafia, JMSN, and Jordan—was like "You should just sing at the end." So that was the first time I actually sung in front of people. But then you know, Wafia has encouraged me over time to use my voice more and she’s given me the confidence to take that step. It’s definitely still new—probably a year, even less. It’s been exhilarating and scary at the same time. You mentioned Song To Make Up To, previously you had Songs To Break Up To, and now your (m)edian EP is full of love and topics relative to that. How did that change of heart come around? Ta-ku: Songs To Make Up To came when I was kind of ready to just be myself. A lot of people thought that was when I fell in love, but I actually met [my wife] after I wrote that. But (m)edian is on a different tangent where it’s more about relationships with our fathers. It’s actually another record that’s close to my heart. It’s about sacrifice and love, in more of a dysfunctional family situation. Which is what the EP is more or less about. You guys put out a short film in three separate videos, and the second one is specifically dedicated to your mothers. What was the concept behind these videos? 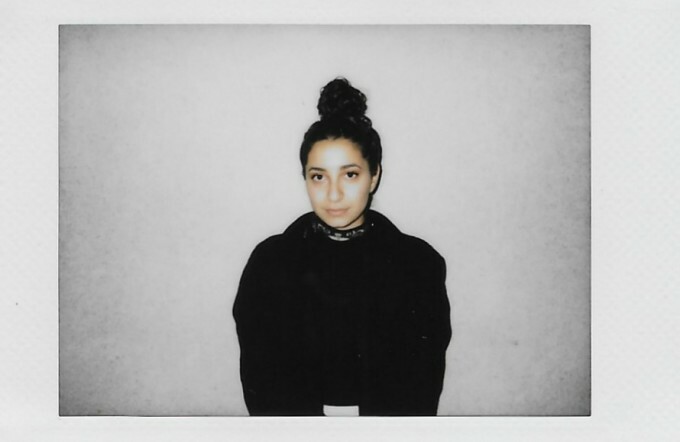 Wafia: When we were creating the EP, on the audio side we knew that we wanted interludes and wanted it to all tie together because I think love is just this endless circle where you fall in or out. And even that can be platonically or unrequited. There are so many stages in love that you go through, and each song felt like a stage of that. Writing the treatment to the music, we really wanted to put that all together in a visual way for people to be able to consume. We didn’t want it to be too literal to the music, because we’d like people to be able to deduct what they want to take away from that. I felt like the video was very open because at first I couldn’t figure out what was happening, but I just couldn’t look away. Wafia: There was also, for us, so much discussion about our fathers that we also wanted to highlight the strength of our mothers. Because it’s so easy to sometimes focus on, not necessarily the negative, but the thing that’s affecting you. Not realizing what’s actually strengthening you. So that was important to us. In another interview I saw that you mentioned being a med student. Do you still want to pursue that, are you trying to juggle the two? Wafia: No, I put that on hold. I finished my pre-med degree but I’ve put that on hold because I guess music is just the thing you have to do now. I’m really passionate about it, I love it. I don’t really see myself doing anything else but I guess I try and make myself feel better by incorporating science into what I do. I think that’s really important, especially for young females. Science and technology is so important. There should be more encouragement towards that field. I think school is just so important. I’m really glad that I had a degree before I went into music because I think at the end of the day, this industry is so unpredictable. I’d like to know that med is my backup plan. So the EP is called (m)edian, and you always have a single called “Meet in the Middle”—what would you say is the most difficult thing for you guys to compromise on? Especially now that you’re on tour and around each other all the time. 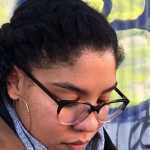 Wafia: There’s hasn’t really been anytime we really had to be like, "Hey, you know this? Well I think we should do it this way." Everything’s been just a conversation, and it’s just been very easy as far as collaborations go. Ta-ku: Yeah, it’s probably been the best example of two artists compromising for their both independent arts, because me and Wafia never try to outdo each other, or outshine each other. It’s very much about a joint, working relationship which benefits us both equally. We feel like we need to do it justice and respect each other’s art, and making sure that we treat it that way. What’s the difference in the reception of your music back home in Australia vs. in Europe and the US? Ta-ku: Well it’s funny to say, visiting the places we have, I’ve never seen so many people of color at our shows. I’m half Filipino, half Kiwi. There’s so many Filipinos, which may seem trivial but to me it’s a big thing because that’s part of my ethnicity and my history. It’s been heartwarming. The kids that have been coming out and the supporters, they’ve just been really lovely, warm, and enthusiastic. Especially for a show that’s a little bit more subdued, more relaxed. It isn’t high intensity by any means. So it’s really great to have them there and see them at these shows. It’s really inspiring. Representation really matters so it’s nice to see you, and they probably get inspired by that. Just the same way you probably get inspired by seeing them in the crowd. How’s the experience been for you? Wafia: It was just really touching because you sort of forget that sometimes when you’re performing, and really in it. Then you meet someone that identifies with you. It’s awesome to see how your music connects with people. So I guess the best part about touring is just meeting the people after the shows and putting the faces to the names that you sometimes see in your tweets, Instagram, and stuff like that. That’s really special. Human connection is irreplaceable. Since you both create music outside of working together, does your brain kind of categorize things as you create? Like this is for this project, this is for that? Ta-ku: I think that’s what made the (m)edian EP so special, because admittedly I haven’t really had much time to really get into the writing process and make lots of music lately, and when I’ve made music it’s been solely for our project. I haven’t had the luxury to make a song and figure out where to put it, last time we made music it was for (m)edian, and we definitely had the mindset of having it for Ta-ku and Wafia. I’d love to get into the writing process soon though, and hopefully have that opportunity to put songs where I feel like they fit. So what do you two have planned for the future, another joint EP or solo projects? Wafia: I think we’re doing solo things, but we just don’t know. It’s just that thing where, right now this (m)edian EP feels right. So we’re doing that. If the time comes then we’ll deal with those feelings then but right now (m)edian has been important for us. I guess above all it’s been therapeutic for us, dealing with this process and our families. That’s sort of what (m)edian served, it just so happened that we shared it with the world. That’s how I really look at it. What do you want people coming to your shows to take away with? 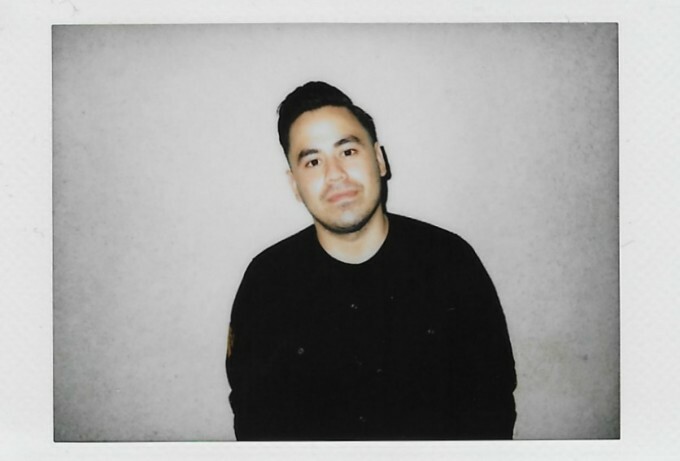 Ta-ku: I just want them to hopefully appreciate the music that they hear. Especially for myself, because I’ve put out so many songs and a lot of them are mediocre. When people come to a Ta-ku show, I don’t know what they think they’re going to hear. If they’re going to hear some of my earlier trap stuff or if it’s gonna be the soul stuff. But I just hope that they take in everyone that’s here tonight, including the visuals that were done by a friend of mine Sam Price, and kind of just enjoy the show as a whole. Not to have too many expectations, just take it as it goes. Wafia: I was just thinking about how many people [Ta-ku] has included in our show, and it’s so well represented. There’s so many people of different colors and ethnicities. I think that’s really important. I’d like to think that anyone in the crowd can sort of look up and see themselves, and hopefully that will drive them forward.